Vocal Coach Testimonial highly recommending Entertainer's Secret! Boys Like Girls Rock Band loves Entertainer's Secret! Billy Joel uses Entertainer's Secret! Scott Gorman (Voice Over Artist) recommends Entertainer's Secret! Entertainer's Secret has always been, and is still fat-free, sugar-free, gluten-free... and offers the same great taste. Free standard shipping on all orders within the United States! What's in Stevie Nick's Bag? Check it out- It's Entertainer's Secret! 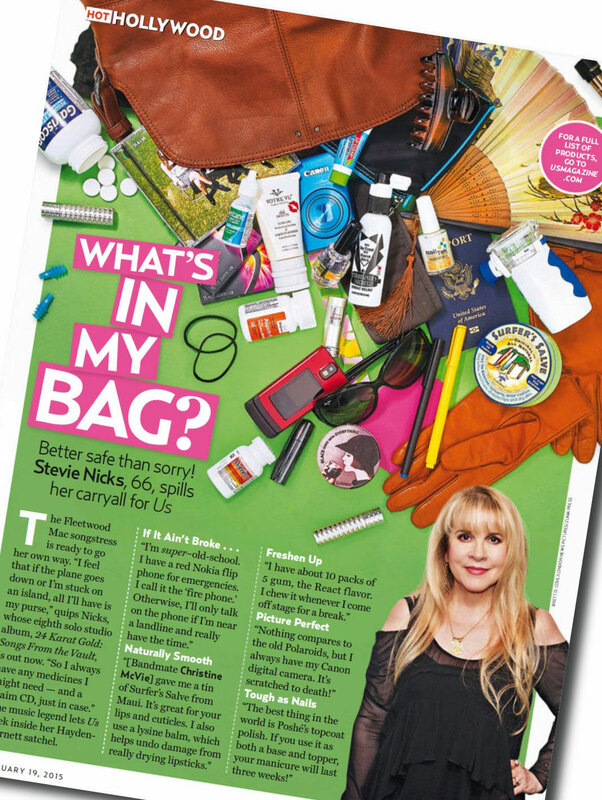 Q: What are the three essential items you can’t leave home without? A: Baby wipes, Entertainer’s Secret throat spray (it’s always dressed up in a little tuxedo) and my iPad in my Chanel case. This is the same great product to soothe dry, sore throats and restore vocal quality, but now in a handy pocket/lipstick size. Great for travel and perfect for single performances. Order a Pocket Pak Trio for yourself or share it with a friend! Become a Fan on Facebook and become eligible to win our weekly drawing for Entertainer's Secret! Every Friday, we will be drawing a winning name from our Facebook Fan List to receive a Pocket Pak Trio of Entertainer's Secret absolutely free! Winners will be listed online, as well as notified by email. So don't wait, join today to be connected, stay updated, and put yourself in the running for free product.